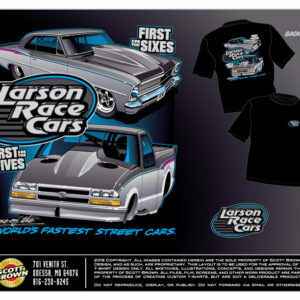 Here is the Larson Race Cars World Record T-shirt. 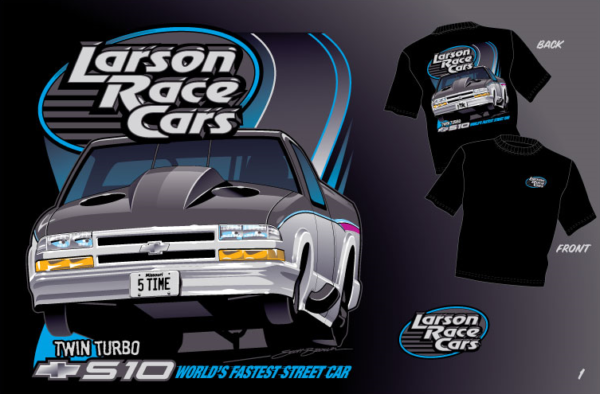 The T features Larry’s twin-turbo 1998 S-10 that shattered the street car world record during the Street Car Super Nationals . If you would like to get yours, see information below. Base t-shirt color is available in black only. *Limited quantities in some sizing.